You know what I love about water? Even though we need it to stay alive, it’s still one of the best values in my slew of monthly bills. That being said, it’s always nice to find ways to keep that cost down as much as possible. So when I think about what in my home uses the most amount of water, I like to take the strategic approach to see where I can conserve water. Recent studies show that the typical U.S. household uses the most water here (in descending order): toilet, shower, faucet, washing machine, leaks, bath and dishwasher. Toilets: Upgrade to a toilet with a WaterSense label. These are the most high efficiency models on the market. They use only 1.28 gallons or less per flush. They are performance tested and work very well. Shower: Shortening your shower time by 2 minutes saves 4 gallons of water. Faucets: Explore the Internet for a variety of low-flow faucet aerator options. Washing machine: Replace yours with a water-efficient model and in the meantime, take care to only wash full loads or use the low-level setting for partial loads. Leaks: Do regular checks, especially in cold weather. Bath: Snub the tub! Showers (done right) are more water-friendly. Dishwasher: Stick with the machine (it uses far less water than doing dishes in the sink), but make it a water-efficient model. Even beyond saving in these areas, being mindful about water usage can also reduce your electric bill. In the average home, heating water accounts for nearly 25 percent of energy consumption. So by using a high efficiency washer and dishwasher, and limiting the duration of your shower, you will not only save on your water bill, but on your energy bill, too. You may also be able to take advantage of rebate programs from your electric utility. Check out the Database of State Incentives for Renewables & Efficiency for energy efficiency rebates near you. Additional tips for increasing your home’s water efficiency abound—and you can find resources offering everything from an easily digestible 15 ways to do it, to 100’s of tips that dive deeply into options such as making the right food choices or re-landscaping your property. 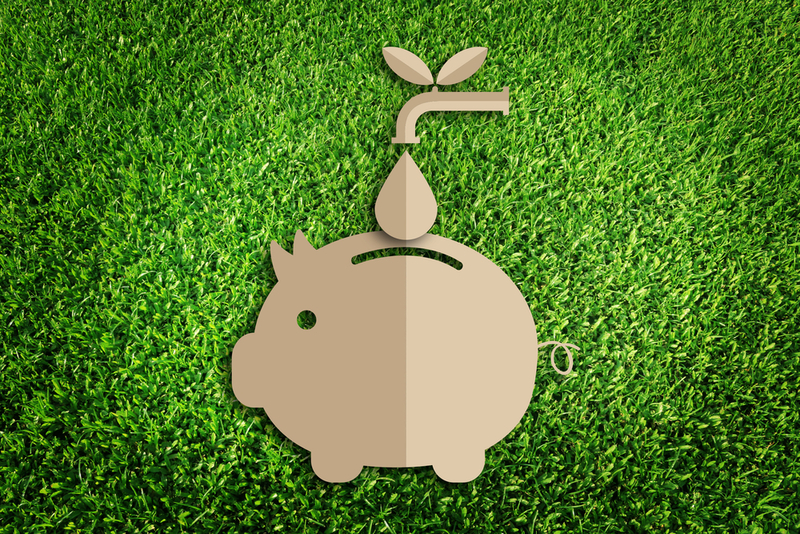 More efficient home water use can go a long way in managing costs, as well as in conserving precious water resources.